There never seems to be shortage of mason jars around. Whether they are old jam jars or pasta sauce jars, there always seems to be an abundance of glass jars in my home. With a great rustic look, they’re a useful thing that can be easily be repurposed into great decorative items. Here are 20 fun and creative mason jar crafts to decorate your home. Feel inspired? I will never look at a jar the same again! "Love Knot Earrings and Pendant"
Thanks for featuring my mason jars! This is a fabulous round-up! Thanks Tara! Your mason jars are gorgeous, I can’t wait to try it! What great suggestions. I am boring I use mine to drink out of apparently I need to be more creative. I must try some of these! Everything looks great except for the fish container… can you maybe use the bigger mason jars? The poor fish had 1 inch to “swim” around in! Oh I think it was just a faux aquarium for kids to make. I agree, it would be very cruel to keep a fish in a mason jar like that! Thanks for sharing my jars! Great collection of ideas! There are so many uses for mason jars, I always keep some around the house. I would like to try several of the ideas you posted. I really liked the fireflies one! These are all wonderful ideas. I love the brush holders! Oh my gosh! I love the mason jars on the wall like that! I gotta find a way to do that!! Love it! I love the idea of using it to hold sewing supplies!! I use mine to use home made spice mixtures like taco seasoning and to hold muffin liners in the cabinet. I love the bathroom organization too I may have to try that out! 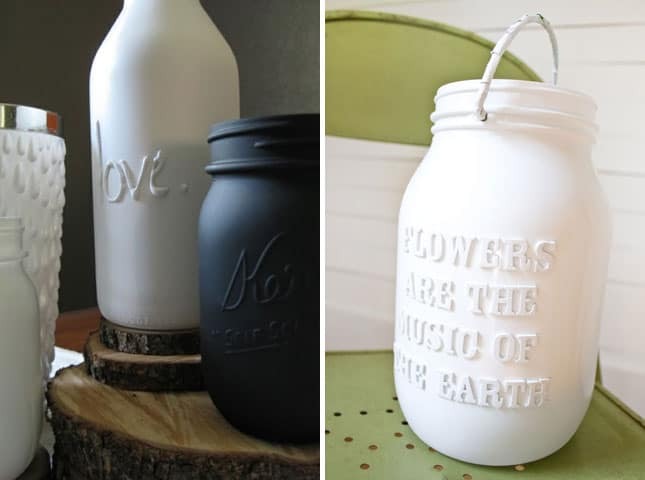 I love mason jar crafts, they always turn out so great, and you chose some great ones. As a beauty blogger my favorite one is the top one! For me, the idea of Mason Jar Hanging Lights is very clever. I love how you transformed it into a stylish and elegant hanging light. Great! 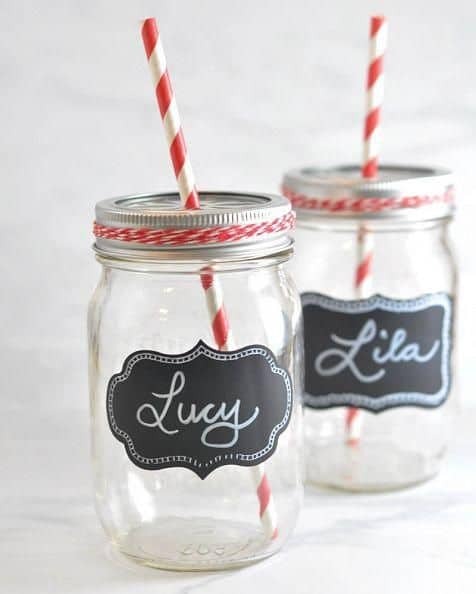 These are some amazing crafts to do with mason jars. I so love the decorated mason lanterns which are just totally gorgeous. Thanks for sharing. I am so addicted to mason jars. I use them for everything from holding office supplies to eating my salads and yogurt from. What a great crafty idea! I really love this Mason jar crafts. You have great creativity. I am wondering, how you are able to do so many varieties in this. Mason jar Lanterns and Firlines in a Jar are the ones I like the most. Thanks for sharing. I have used them for so many things! I love decorating with them or using them as glass jars for crafts. I wish it showed the top angle of jar, with light installed . Newbie, do not sure how black bulb holder replaces life insert. Very creative. Will try some of these!